Home What is the Salary Range of Salesforce Professionals in India and US? When planning for a career initiation, job change or career development, an obvious yet important element we consider is the salary package. Today’s most buzzing professional domain, Salesforce, is the highly preferable choice for many. While Salesforce is a technological update in market on one side, it offers manifold choices of designations on the other hand. However, the remunerations related to Salesforce professions are high – let’s know how much they make. 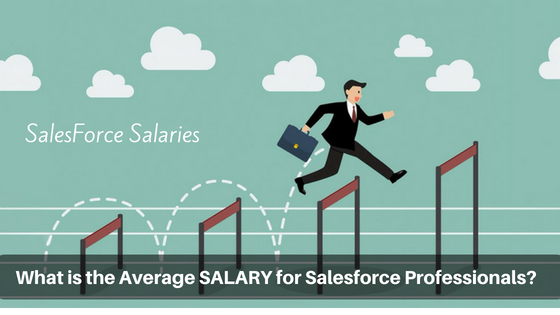 Salaries for various Salesforce professions varies with company and experience. However, here is a brief information of the estimated ranges of remunerations found in India and US. A Salesforce Admin is an important profession which deals with administration of Salesforce platform. Incorporation of Salesforce systems to the organization system as per the needs is the primary duty of a Salesforce admin. He or she also manages the users, and trains the users to access Salesforce. Appropriate application and management of Salesforce Cloud services is possible with effective functions of Salesforce Administrators. Therefore, they have a key role in the organization – it is the more responsible job position with respect to Salesforce profession. In India, the average salary of a Salesforce Administrator is found to be around ₹3.5 lakh to ₹5 lakh per year. However, there are changes in salaries with respect to the companies and experience too. The average salary of Salesforce Administrators in India is ₹4,32,767 per year (according to payscale reports). Small-sized companies do offer lesser salaries when compared to larger ones. Moreover, the experience in administration also matters. The starting range for a fresher will be around ₹15,000 to ₹30,000 per month – this is also varied depending on the company. The average salary of a certified Salesforce admin in US is $64,000 per year. However, the starting salary ranges from $40,000 to $95,000 per year based on the company’s brand. Working with in-depth coding essentialities is the important and primary responsibility of a Salesforce developer. Advanced cloud solutions have become popular because of the perfection in development teams. Salesforce developers strive hard to work with Apex, VisualForce, Triggers, and other development tools for effective deliveries. Proficiency in technical programming languages is a very big plus point for Salesforce developers. Customized CRM application development, integration of Salesforce with other tools, and designing appropriate data models are some of the duties of Salesforce developers. With their tedious task involvement,Salesforce developers are offered salaries in the range of ₹4 lakh to ₹7 lakh per annum. As discussed, this also varies with the recognized companies. The average salary of a Salesforce developer in India is ₹4,86,992 per annum (according to payscale reports). Certification in Salesforce development, therefore, presumes more salaries when compared to non-certification basis. Starting salaries for Salesforce developers are ₹12,000 to ₹36,000 per month. The average salary of a Salesforce developer in US is about $87,000 per year; the starting salary is $47,000 per year. The certified professionals of Salesforce developers and Salesforce administrators with adequate experience are found to get $90,000 to $125,000 per year in US. Salesforce consultants help an organization in setting up, implementation, configuration and maintenance of Salesforce platform. They manage the client relationships, engage in status meetings with clients, and improve product configuration. They play a key role in driving the project from design to deployment stages. In India, the average salary of Salesforce consultants is found to be ₹8,28,314 as per the payscale survey. 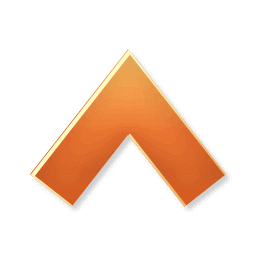 It ranges from ₹3 lakh to ₹13 lakh per year based on the company, location, and experience. The average salary of Salesforce consultants in US is $80,545 per year. The salary ranges are found to be from $55,647 to $125,359 per year. Salesforce Sales Cloud Consultants design solutions for optimization of sales processes. Their average salary in India as per payscale reports is about ₹8,26,000 per year while in US it is found to be $95,000 per year. The Salesforce CRM is engaged with assorted cloud services among which Salesforce Service Cloud is one. Consultants engaged with this service help in designing service solutions for the respective cloud functions. Average pay scale of Salesforce Service Cloud Consultants in India and US is ₹8,82,000 and $101,000 per year respectively. A Salesforce technical architect deals with designing the systems which enable long-term benefits for your company. He or she is also engaged in integration and testing of the applications, data modelling and migration, and controlling the source.An average salary of Salesforce Certified Technical Architect in US is about $150,000 per year. Salesforce business analysts provide business insights through analysis of multiple data sources. They assist the solution architects and help in design, development and deployment of business solutions; they engage in configuration of users within Salesforce system; they interact with developers for conducting tests and verification of solutions to meet business demands. The average salary of Salesforce Business Analyst in US as per Trailhead is $104,000 per year. Salesforce marketing manager is engaged in building and maintaining marketing campaigns involved with automation. Enhanced applications through email and form template creation, landing page development, list segmentation and scoring are performed with the help of Salesforce marketing manager. Their average salary in US is found to be $85,000 per year. Salesforce sales managers help in maintaining and managing multiple deals. Progress in sales processes is evident with their excellent functions. They interact with representatives, customers and stakeholders to know the business needs and act accordingly for increased sales. An average salary of Salesforce Sales Manager is $90,000 per year. By now, you might have got a brief idea on the salaries obtained by Salesforce professionals. So, if you have ambiguous queries related to Salesforce training and certification expenses, erase all of them from your mind at once. This is because, better return on investments are evident with Salesforce training accountable with the salary remunerations associated. Therefore, a better advice is to catch the outstanding Salesforce training institute in Hyderabad like Capital Info Solutions; excel in the Salesforce skills; and proceed further for remarkable cloud career.